Invest in women. Invest in the world. 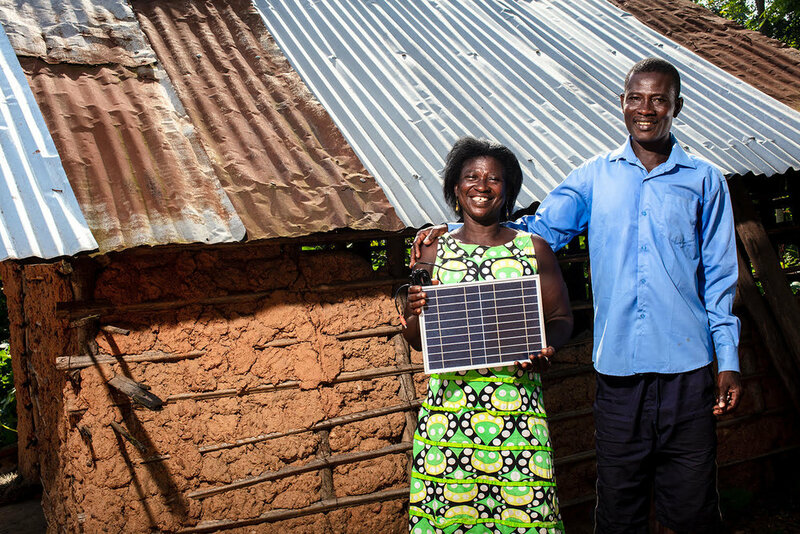 PEG Africa, an asset financing solar power company providing home systems to underserved customers in West Africa, has become CDC’s first investment to qualify for the 2X Challenge. The $15m multi-currency facility – of which CDC invested $12.5m – will count towards the goal set by DFIs of the G7 to invest and mobilise $3bn in businesses that advance opportunities for women. PEG has qualified as a 2X investment under three of the five 2X categories: advancing women in leadership; meaningfully supporting its female employees; and implementing a targeted strategy to increase the number of female customers. The company is also the first 2X Challenge investment to qualify in the pay-as-you-go solar sector and provides a compelling case for how driving gender diversity can enhance commercial performance in the sector. Becoming a gender diverse company didn’t happen by accident. During a period of rapid growth in 2017, PEG realised that its leadership did not represent its employees or customers. Recognizing the strong business case for representational leadership, diverse employees, and a strong female customer base, PEG drew upon direct support from Engineers without Borders and Power Africa to design a target-driven gender action plan. The company prioritized an intentional hiring scheme starting in PEG Ghana, drawing on under-utilised recruitment pipelines to increase the number of local, female staff. To facilitate the progression of female mid-managers into more senior management levels, the company also spearheaded a company-wide mentorship programme, under which 25% of female participants have been promoted within six months. More widely, PEG has also introduced a range of family-centred policies, including flexible working hours to allow employees to balance responsibilities at work and home, extending health insurance for leadership to the whole family, and introducing paternity leave. The business benefits speak for themselves: eighteen months after PEG’s initial recognition for the need of diversified representation, PEG Ghana doubled its number of females in leadership, from 22% to 44%. In addition, the company has observed a 30% reduction in employee turnover, with women leaving at a 14% lower rate than men. Alongside successful expansion into new regions and the introduction of new service delivery models that have contributed to higher sales and better repayment rates, PEG has realised markedly better financial results: between 2017 and 2018, PEG Ghana’s revenue grew 60%, and EBIT improved 26%.